[U], [Tap]: Draw a card. 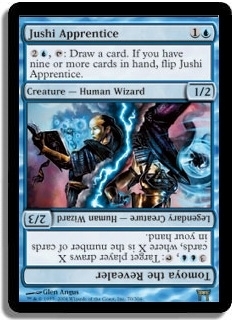 If you have nine or more cards in hand, flip Jushi Apprentice. 3UU, T: Target player draws X cards, where X is the number of cards in your hand.